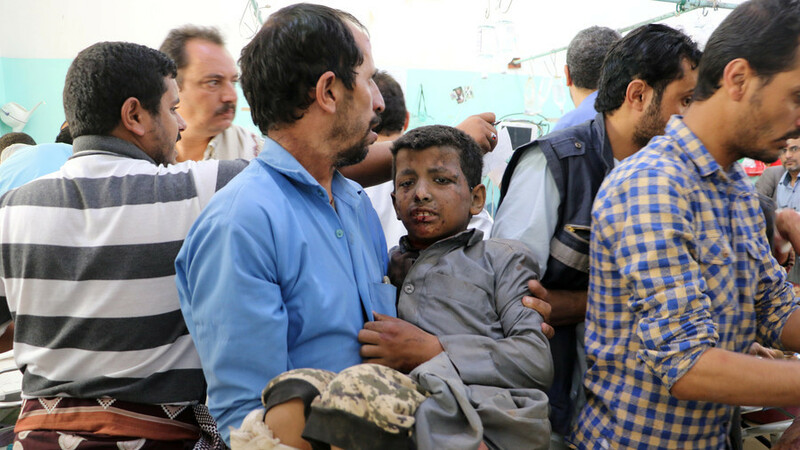 The Saudi-led coalition has called the attack "legitimate." The tragic incident has prompted the ICRC to once again call for the protection of civilians during conflicts. The ICRC has always called upon all parties of the conflict to [find] a political solution… in order to curb worsening humanitarian conditions,” Mirella Hodeib from the ICRC earlier said. It's not the first time the coalition has hit a residential area this month. Just one week ago, an air raid in Hodeidah seaport claimed the lives of 55 civilians. An additional 170 were wounded. The apparent desire by the US and UK to ignore the tragic reality faced by Yemeni civilians is likely due to the fact that both countries are in the very lucrative business of selling weapons to Saudi Arabia. In March, Donald Trump touted $12.5 billion in finalized arms sales to Riyadh, a move which prompted Amnesty International to speak out against "irresponsible arms flows" to the Saudi-led coalition, which has "resulted in enormous harm to Yemeni civilians." The $12.5 billion amount praised by the president is part of a wider $350 billion arms deal struck between the two countries last year.